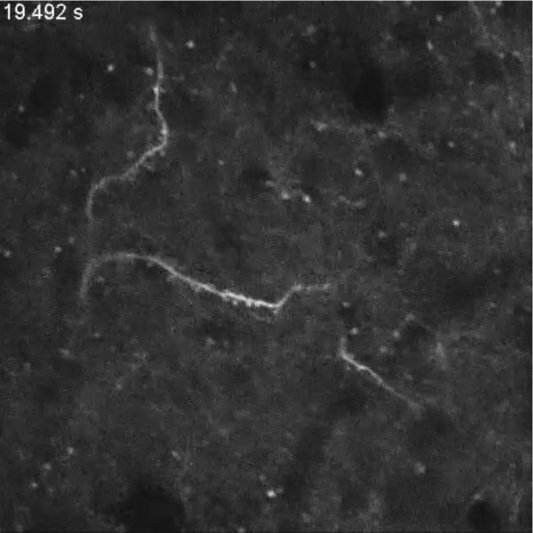 Imaging neural activity in worms, flies and mice with improved GCaMP calcium indicators. Tian L, Hires SA, Mao T, Huber D, Chiappe ME, Chalasani SH, Petreanu L, Akerboom J, McKinney SA, Schreiter ER, Bargmann CI, Jayaraman V, Svoboda K, Looger LL. Nat Methods. 2009 Dec;6(12):875-81. 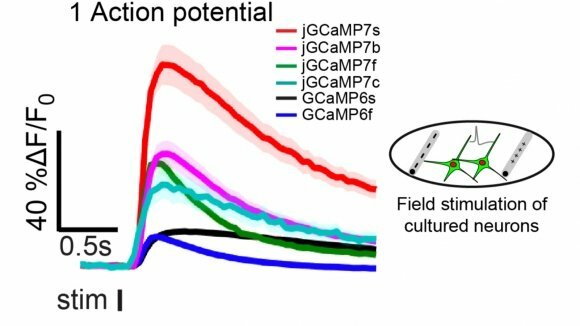 Using structure-based mutagenesis and neuron-based screening, we developed a family of ultrasensitive protein calcium sensors (GCaMP6) that outperformed other sensors in cultured neurons and in zebrafish, flies and mice in vivo. 【ジャネリア＆中井博士ら　GCaMP2】Imaging cellular signals in the heart in vivo: Cardiac expression of the high-signal Ca2+ indicator GCaMP2. 【中井博士ら　元祖G-CaMP】A high signal-to-noise Ca2+ probe composed of a single green fluorescent protein. Nakai et al., 2001. Nat Biotech. 19:137–141.